We’ve come a long way since 2004. 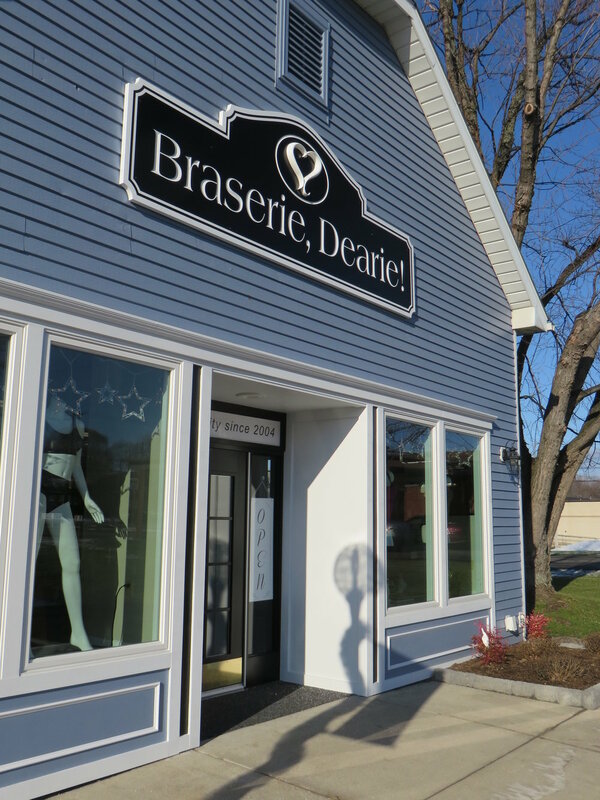 What started out as a small room behind a studio quickly grew to a full-service bra boutique that has since helped thousands of women. Our staff of expert bra fitters are committed to helping you find the best bra fit for your figure type- all while ensuring that you enjoy the experience. We will talk with you about your needs, measure you, and then return to the dressing room with bras for you to try on. We'll work with you until you are pleased with the fit, style, and comfort of your bra. We hand-pick only the best bras from the finest brands because we believe that quality makes a huge difference. Braserie, Dearie! carries sizes for every woman: we have band sizes 30-54 and cup sizes AA to K.
No appointments are necessary. Whether you’re a first-time customer or a regular, we would be delighted to have you in our shop. Let us change the way you feel about bra shopping!